I typed this out on Tuesday and never posted it amongst all the birthday festivities. Last weekend was a great one and certainly worth sharing! Luckily we had Monday off to recoup because looking back, boy was this a busy weekend! 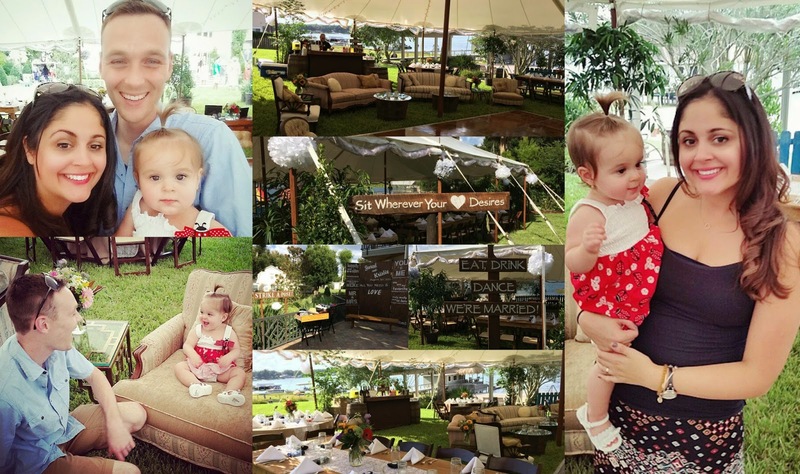 Saturday after doing some major party planning for our girl (it's not until the 14th, we have some time) we went to a wedding. Stephen works with the sweetest girl Kristie who I adore! She got married a few weeks back in Colorado and they invited us to their celebration here in FL at her in-law's gorgeous lake house. This was quite the shindig, every detail was beautiful! The house on the lake was incredible and all of the decor was straight out of Pinterest! We had so much fun celebrating the start of Kristie and Jared's new life together! Ella had a great time too - from the golf cart ride up to the house, tearing up the dance floor, and of course hamming it up for the camera! Here are a few photos of us that I took and a few "Pinteresty" shots that I borrowed from Kristie's FB page. 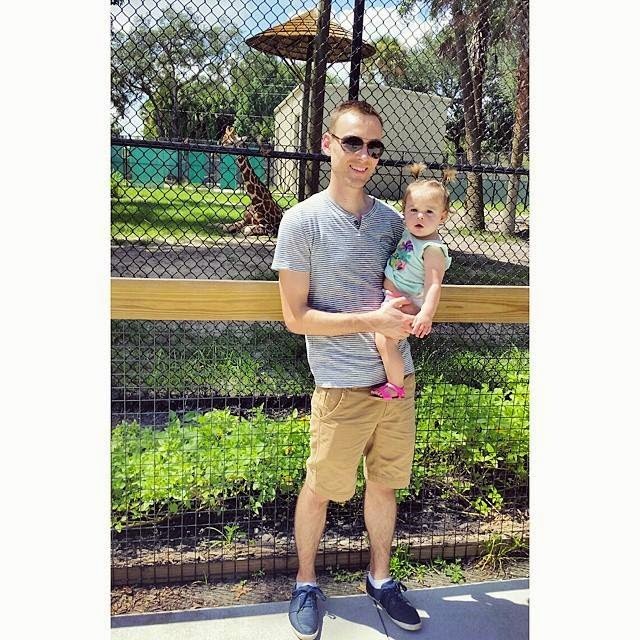 On Sunday we took her to the Central Florida Zoo. Despite the "inferno-like" heat, it was a fantastic time! 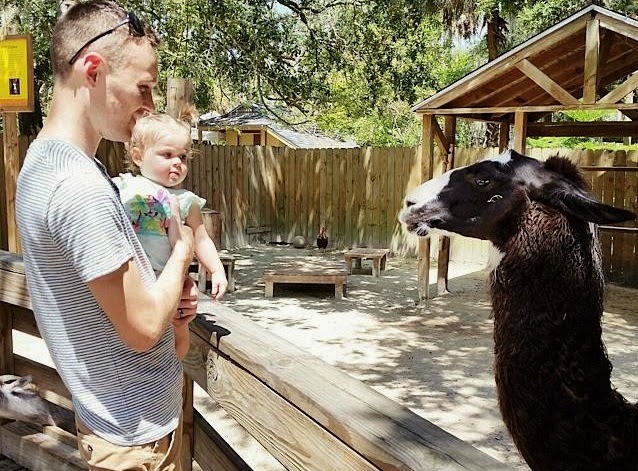 Ella loved the giraffes but was very leery of the llama! This whole "watching the wonder through a child's eyes thing" is legit! I could literally (said like Chris Traeger) watch Ella watch a goat for hours! I didn't get many pics but here are a few with Dada. Great weekend, I hope this one stacks up! Her face in the last photo is too funny! Kids are amazing aren't they? You can literally just see the wonder in there eyes when they experience new things. It's amazing!